Winter has given way to spring. We still have a little snow and ice on shady trails, and once in a while the overnight temps dip below freezing. Still, I’ve thinned out the selection of woolly hats and gloves, keeping just what we need for cold windy rides in the dinghy or visiting glaciers through the summer. Easter was a beautiful day, making it nice for children to hunt for eggs outside. Of course, the ravens are also wise to Easter egg hunting, and they enjoy stealing as many as they can before the little ones get to them. 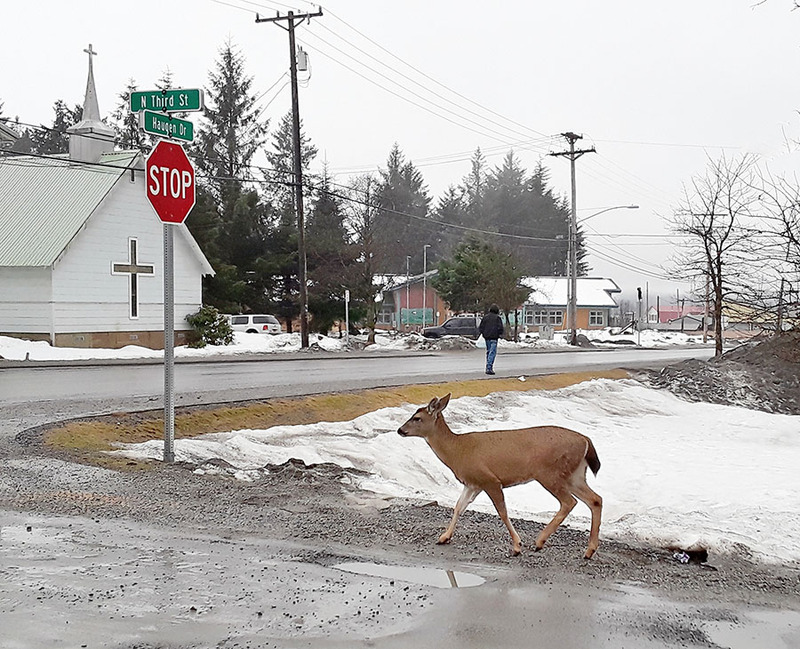 Many of the spring flowers that have emerged are showing signs of nibbling by the deer. 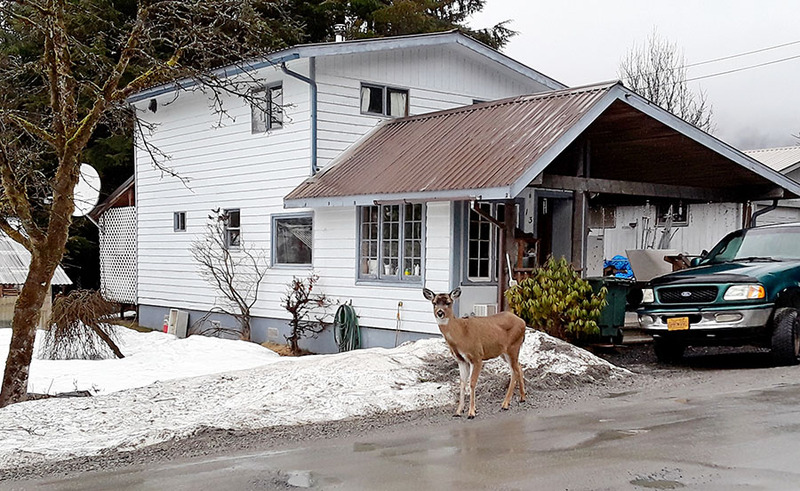 In fact, the deer are still hanging around town a bit. I guess the snow hasn’t melted enough at higher elevations, but it’s time for them to move on. My friend Karen has a particular soft spot for all living things. She puts out seed for little birds like the siskins, and even the neighbor’s chickens come over for a snack. We’ve been immersed in boat projects this spring, including replacing all the sanitation hose in the boat (46′ of it! ), plus valves and a few other things. The sanitation hose project was pretty disruptive, but dear friends Karen and Don invited us to stay at their house while we worked on the messy project so we could relax in the evenings. 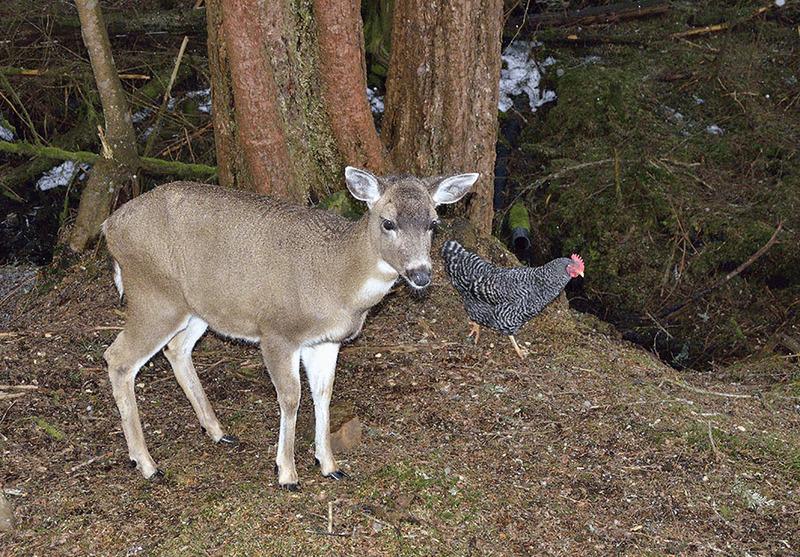 We ended up having a blast with our friends, especially watching the deer come out of the woods every morning. 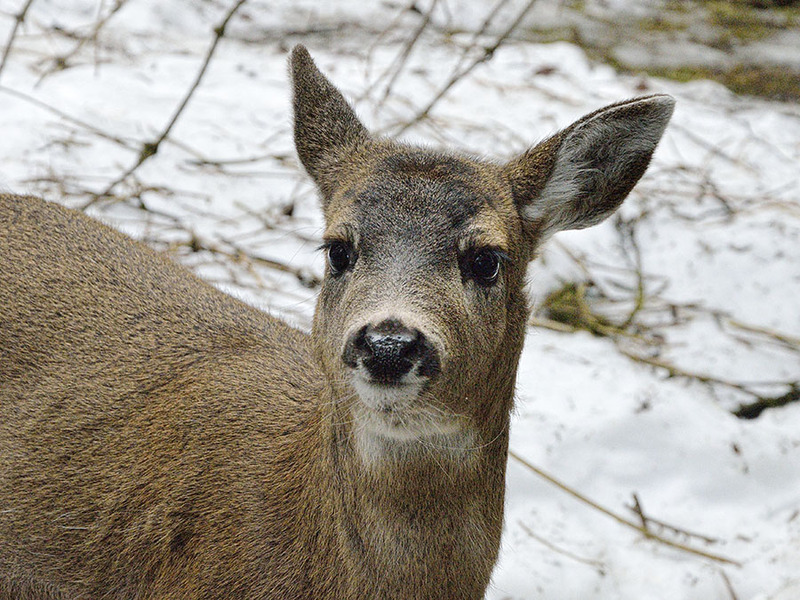 Sometimes 6 or 7 come out of the woods (including fawns), and occasionally they look in the windows. We’ve still got a lot of other projects going on – there’s plenty of chaos, but the call of the cruising season is strong and we’re really looking forward to casting off the lines and getting out – that keeps us motivated. 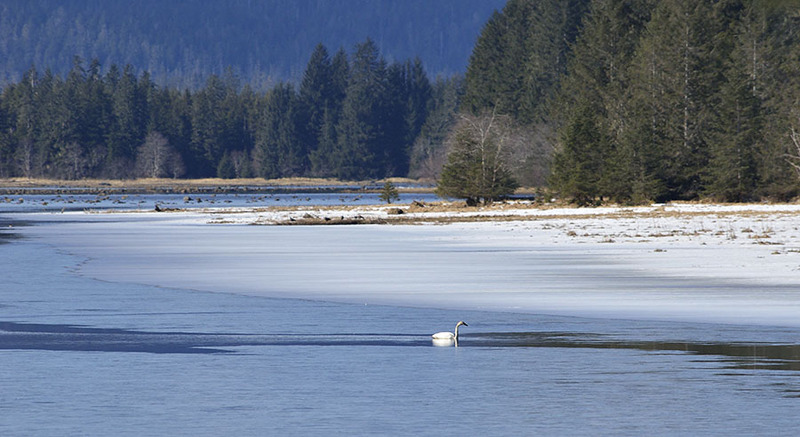 Other signs of spring are around, and on one pretty day I took a drive out the road to get a last look at the trumpeter swans before they migrate north for the summer. As luck would have it, they were halfway between the Swan Observatory and the fish hatchery, but I did get to see a pair of them at a distance. The slough was still partially frozen, so the rest of them might be closer to the salt water where it’s easier to feed. 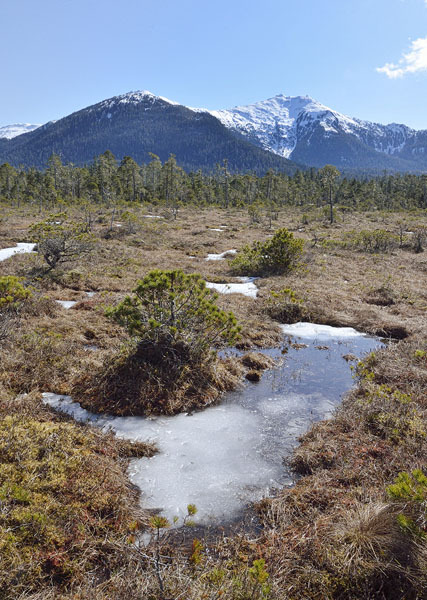 The snow has mostly melted off the muskeg, though a few tiny ponds still have some ice on them. 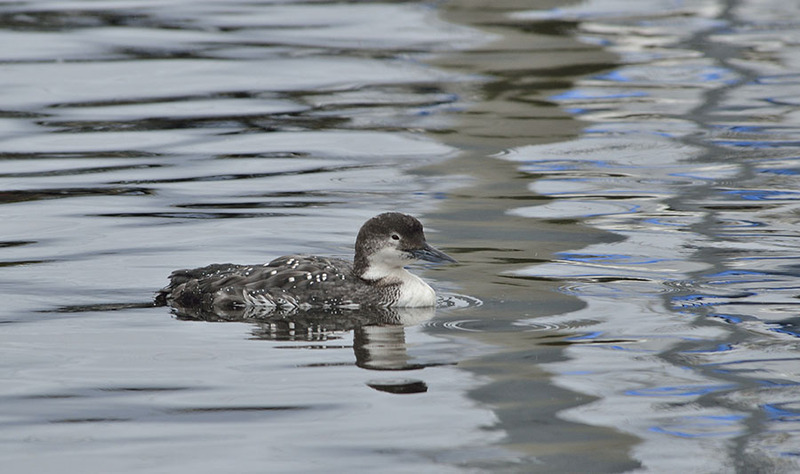 The long-tailed ducks have all left and the loons are starting to change to their pretty summer plumage. 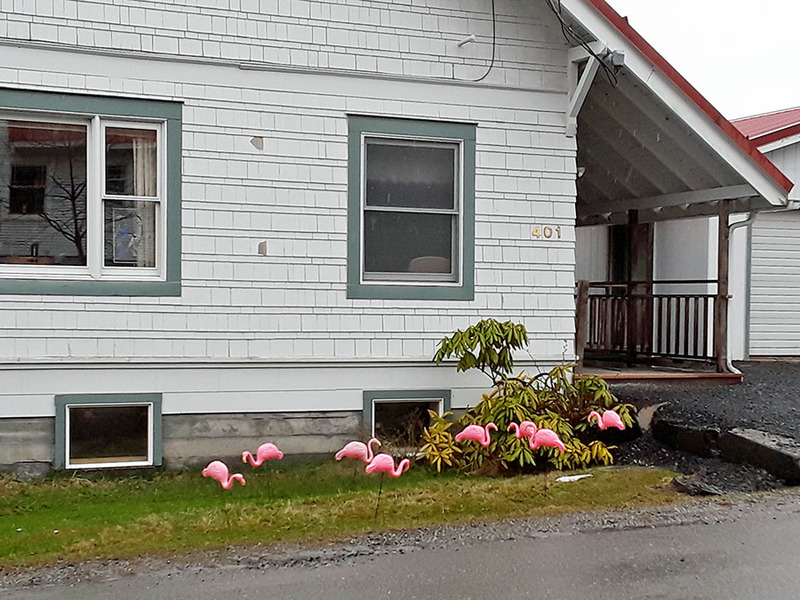 Speaking of migrating birds, the town of Cordova, AK has a migratory bird festival every May, and their local yarn shop is sponsoring a project to collect hand-crafted birds from all over the world to display during the festival. Birds can be serious or whimsical, and it will be fun to see all the contributions once the festival begins in about two weeks. 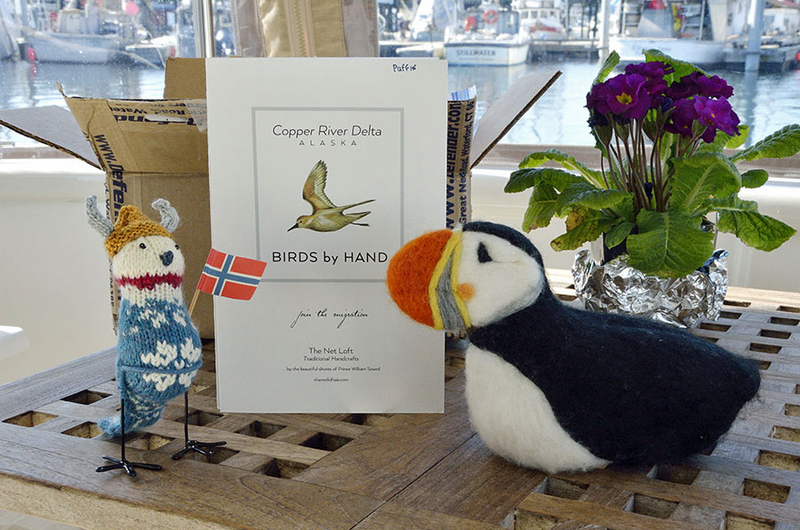 I sent them two birds – one is a funny knitted “Peters-Bird” with a Norwegian sweater and Viking helmet, and the other is a needle-felted Atlantic Puffin that I made when we were in Nova Scotia. At the moment the town is anxiously awaiting the sandhill crane migration – they should be flying overhead any day now, and the radio station has promised to announce any sightings. 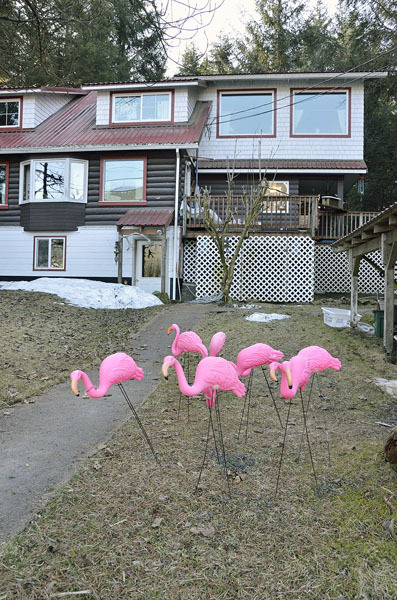 In the meantime the annual flamingo fundraiser has begun, with flocks appearing in people’s yards. 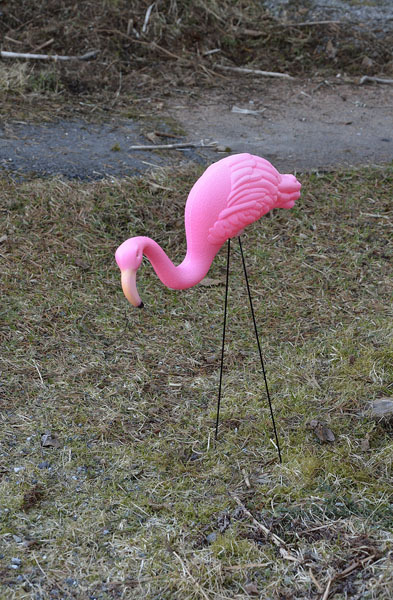 It’s a $10 donation to have someone “flocked” for a day, and the “flock-ee” is encouraged to make another $10 donation to get the flock removed. You can buy anti-flock insurance for a $15 donation, and all the proceeds go to our local animal shelter. This entry was posted in 2018 by Robin. Bookmark the permalink.